A new study says human rights outweigh UN drug conventions prohibiting cannabis cultivation and trade. Legalizing cannabis production would have benefits for public health and human rights, according to a study commissioned by 27 local Dutch authorities. Legalizing cannabis cultivation and trade could reduce violent crime surrounding the current illegal cultivation and could therefore arguably protect human rights. This study was conducted by Piet Hein van Kempen, professor of criminal law and procedure, and lecturer Masha Fedorova of the Radboud University, on behalf of Dutch municipalities fighting for regulated cannabis cultivation, the popular Dutch newspaper Volkskrant reports (in Dutch). It says illegal cultivation leads to violent crime, corruption, fires, legionella contamination, smell issues and other problems in residential areas. There is also a health risk for users because quality or safety cannot be guaranteed. In an illicit market, there are no spot checks to see if the nutrients or pesticides growers are using are safe for human consumption. The report also says that regulating cultivation and trade would help ensure quality, provide control of the supply chain, reduce crime and protect the health of consumers and others involved in production. This study echoes the sentiment recently highlighted in a report from The European Monitoring Centre for Drugs and Drug Addiction (EMCDDA) and Europol, which stated that violent crimes associated with illegal cannabis cultivation and trafficking are getting out of hand. The researchers believe that a well justified argument can be made, as regulating cannabis cultivation can be seen as a “positive obligation to protect human rights”. Human rights that could be protected include the right to health, the right to life and the right against inhuman treatment. They argue that the government can regulate cannabis cultivation based on these rights, as long as it does not affect other countries. 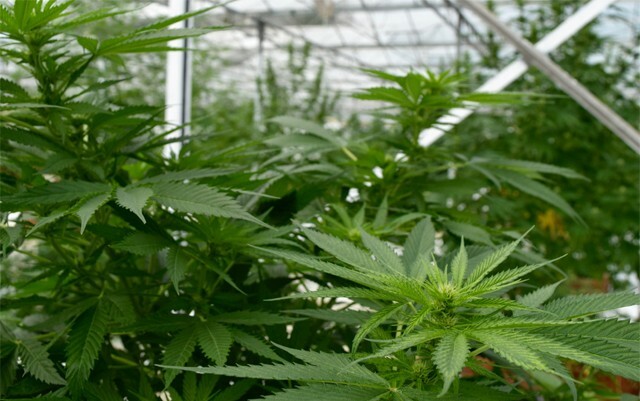 To ensure this, they say that there should be a ban on cannabis exports and the system of cultivation, and exports and consumption must be closed and tightly controlled. The authorities must also continue to discourage the use of cannabis, according to those same human rights, as using it could potentially be harmful to health according to the report. The same rules already apply to alcohol and tobacco. The researchers emphasize that they are not concluding that legalizing cannabis cultivation is better than the current tolerance policy in the Netherlands in which you are allowed to consume cannabis, but the cultivation and trade is mostly illegal. They are only concluding that the government’s argument that international law blocks any moves towards legal cultivation need not apply. “This report makes it possible for us to take the step we want to take so badly,” Victor Everhardt, D66 alderman of Public Health in Utrecht, said to the Volkskrant. Legalizing cannabis cultivation will give authorities “a view on what is unseen”. “We want to find out whether legalization works and whether it is an improvement on the current system. Cannabis is not a harmless substance. We will continue to discourage its use. But the reality is: people do it anyway. So how can you, as municipality, control and organize the cannabis policy? All logic says we want to monitor what is happening,” he said. The government has rejected such calls for years, arguing that it would breach international treaties designed to restrict the illegal drug trade. The legal status of cannabis production has been a long-running political issue. Cannabis coffeeshops are permitted to sell small quantities of the drug under licensed conditions, but wholesale remains illegal; meaning the cafes have to buy their supplies on the black market. This fuels a black market that has little regard for the safety of the consumer or the quality of the product. This “more people-centred approach” is key to what the Dutch researchers argue. This is refreshing news for a cannabis community in the Netherlands that is somewhat battle-weary after overzealous authorities have been clamping down on coffeeshops supplying small amounts of cannabis and grow shops selling supplies for growers. Steps that many argue are actually compounding the problems, rather than making things better. This clever argument says that if authorities are acting in what they believe is in the public’s best interest then they should actually reverse the ban in order to protect Dutch citizens. If the Netherlands were to implement changes to the law based on this argument, then why not other countries too? Maybe the UN should clarify what is the most important for countries to uphold. Should they continue in a vain attempt to achieve a “drug-free world”? This seems to be having a devastating fallout for citizens caught up in an unachievable war. Or should governments aim to protect the human rights of the citizens that elect them? The main beneficiaries of the current laws – framed around the 1961 UN single convention on narcotic drugs, which prohibits the production and supply of a number of named substances – are criminal organisations, who control a global market with a turnover of more than $320 billion a year. Ironically, the UN was established to (according to their website) tackle “issues confronting humanity in the 21st century, such as peace and security, climate change, sustainable development, human rights, disarmament, terrorism, humanitarian and health emergencies, gender equality, governance, food production, and more.” There is no mention of conducting a war on citizens who participate in the production, distribution and consumption of drugs that are deemed illicit from an elite few in their ivory towers. The argument presented by this pragmatic Dutch study could, in theory, be used by all countries in the world; meaning global legalisation could be a reality without any changes to UN drug policy. This is a good thing, as the inertia in changing the current UN approach towards drugs is having a devastating consequence on human rights for citizens around the world daily. In Mexico alone, 30 people a day are dying in the battle between drug cartels and government forces. The 1961 convention has been a spectacular failure by all accounts. Drug use is up, respect for authority is down, human rights violations are prevalent and drugs users, who are not going to disappear, are in danger from violent crime and adulterated product. Meanwhile, crime syndicates are making a killing, literally. In other words prohibition violated human rights and forced crime and serious health issues on the community. Prohibition is a “Crime against Humanity”.